Kathy is basically “Switzerland” within the dealership. She is undeniably an extremely sensible, calm, and collected person. Dealerships, like any business environment with alot of moving parts, can get very complex and always runs the risk of being disorderly. Kathy’s super power is keeping us all well-knit, organized, and running smoothly. She is a huge book worm and will read anything you put in front of her eyes from cover to cover. 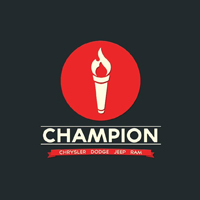 We are always grateful for her diligent work at Champion.